Outside of France, patisseries are simply bakeries that sell a variety of pastries and sweets. In France, however, if somebody opens a patisseries, then there’s got to be a maitre patissier, or a pastry chef in the kitchen, and it’s no piece of cake to become one. French pastry chefs go through a lengthy training in order to be able to create all those delicious, melt-in-your-mouth pastries, cakes and creams. So when you’re traveling to France, it would be a huge mistake not to try some authentic French pastries, and what better place to try them then the capital? Here are the top 10 patisseries in Paris. If there’s a gastronomic equivalent of haute couture, then it has to be Victor & Hugo, whose pastries are true works of art, delicate and beautiful. Pascal’s Caffet chocolaterie and patisserie in Paris is a must for anyone who loves sweets, the only problem is that you’ll never want to leave once you taste his tarte framboise pistache, a dainty tartlet with raspberries and pistachios. 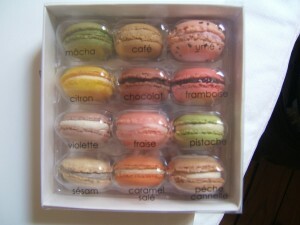 Pierre Herme’s shops are famous all over the world for their macarons, which are so tasty that you can’t stop at one. In addition to these, there are tons of other amazing treats you can taste. This brilliant Japanese pastry chef has four shops in Paris, one more impressive then the other. His treats are simple, and because of that, all the more impressive. 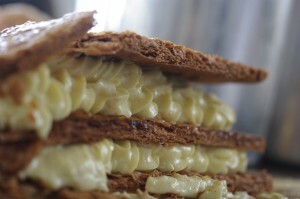 Try the Tarte au Caramel Beurre Salé – it’s probably one of the best things you’ve ever tasted. La Pâtisserie des Rêves fullye deserves its name – it really is a bakery where all your pastry dreams can come true. The shop looks like a mix between a gallery and a patisserie, and you can blissfully ogle the sweets until you buy them. Carl Marletti is another macaron wizard, and it’s simply incredible what he can do with two macaron shells, fresh fruit and some simple creams. 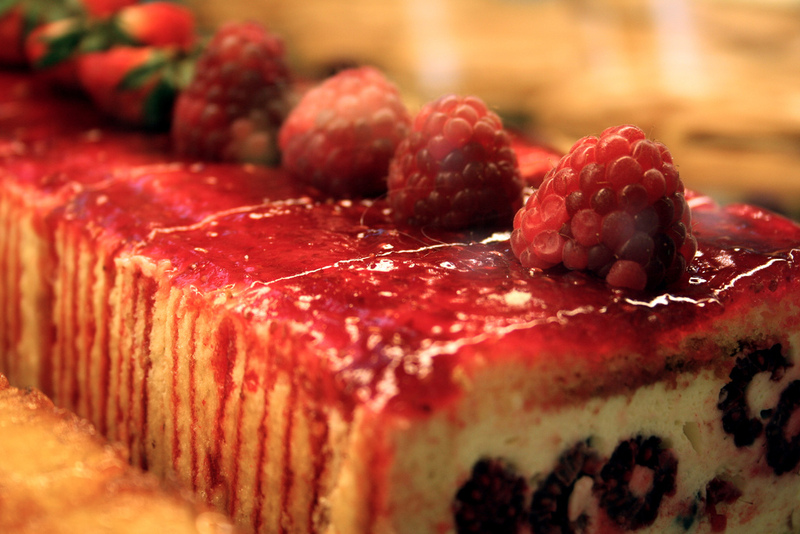 Marie Antoinette, a concoction of fresh raspberries, raspberry syrup and rose cream is incredible. One of the best things you can get at Pain de Sucre is the millefeuille, that cake which you just must eat when you’re in France (it’s like the Eiffel Tower of pastries). Ladurée has been spinning its pastry magic since 1862, and their recipes are the proof that practice indeed makes perfect, so perfect in fact, that you melt in a puddle of cake-adoration every time you taste one of their treats. Bonbonnière de Buci has that homey feel that makes you wish you could move into the cozy little shop and drown yourself in chocolate cakes and scrumptious apple tarts. This shop has Algerian sweets, amazing treats that combine nuts, figs, dates, honey, rose-water, mint, vanilla and a thousand other mouth-watering things.